Matt Shipman currently resides in Portland, ME and is a performer and teacher of acoustic and traditional music. He attended the Hartt School of Music for a time where he studied Jazz trumpet before going back to his first love of traditional and acoustic music. This appreciation of traditional music is reflected in his college career, a 2004 graduate of Vermont College, majoring in a self designed major of Traditional Music Studies. 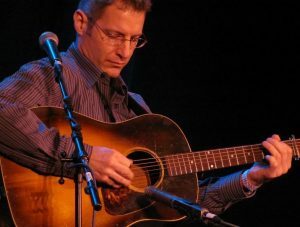 For this study he traveled through Nova Scotia, North Carolina and Maine recording and compiling songs and stories from people he met, which later culminated as a radio documentary about traditional music in the 21st century. During that time he also attended the Old Town School of Folk Music in Chicago where he studied various instruments and styles. Matt also plays bouzouki, clawhammer banjo and mandolin. Matt performs with his wife Erica Brown in a duo called Darlin’ Corey as well as Erica Brown & the Bluegrass Connection, Josephine County and Side By Each. Matt has been a music educator for over 12 years and recently opened a teaching studio in his Portland, ME home called Darlin’ Corey Studios where he and his wife give lessons to people of all ages and abilities. Lincoln Meyers is an award winning guitarist who has been on the New England music scene for the past eighteen years and has been playing professionally for thirty. Lincoln, who was featured on the cover of Flatpicking Guitar magazine’s November/December issue 2010, has toured the world and performed with bands including Erica Brown & The Bluegrass Connection, The New England Bluegrass Band, Tony Trischka, April Verch, and most recently Frank Solivan and Dirty Kitchen. Lincoln is a veteran instructor, teaching private lessons as well as being involved with and conducting guitar workshops and seminars around the country. 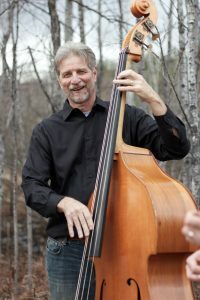 Ken Taylor has been performing with Erica for over 14 years playing acoustic bass and adds some vocals for the group. Ken keeps the band tight with arguably the most solid bass-playing in the New England area. He originally started as a guitar player with an interest in folk music but was soon sidetracked into bluegrass. He’s been hard at work too…. Ken was one of the original members of the Central Turnpike Bluegrass Band from the Central MA area. He also gets a chance to strut his stuff with Blackstone Valley Bluegrass Band and Heritage String Band. Always in demand, you never know where you will find him playing bass. Ken plays like an old master, his style is powerful, his timing is right-on and his love of music shows in every performance. Read McNamara started playing banjo at the age of 18 while at college. As he puts it, “Everyone else played guitar. After my Grandfather died, I inherited his old Gibson banjo, so I started playing that to change things up a bit.” The ancient tones of bluegrass struck a chord with Read, and he and the four other members of his college band began immersing themselves in all things bluegrass. After graduating, Read and the members of the band moved to Virginia and began touring full time up and down the East Coast. 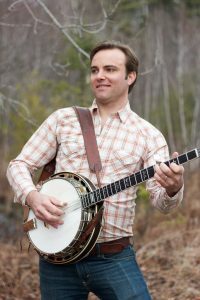 When he left the band in May of 2002, Read was offered a spot playing banjo for SPBGMA (Society for the Preservation of Bluegrass Music of America) 2001 & 2002 Midwest Entertainer of the Year, Charlie Lawson and Oak Hill. For the next year, Read honed his chops on the road. Charlie had also won the Banjo Player of the Year award numerous times, and helped Read develop his traditional Scruggs style banjo. To this day, Read attributes much of what he has learned to Charlie and is deeply indebted to him for all that he learned. Unfortunately, in late 2003, Charlie retired from traveling. With the help of legendary bluegrass utility man, Butch Robins, Read eventually found a spot playing for a local Indiana band called the Old City Trio. In March of 2004, Read and his soon-to-be wife left Indiana for the East Coast to be closer to their families. Now settled in Alfred, Maine, Read is proud to be a member of Erica Brown’s band the Bluegrass Connection. 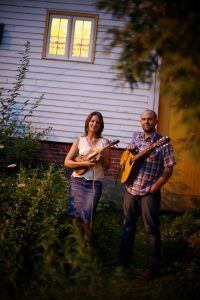 As a duo, Matt Shipman and Erica Brown feature a delightful blend of vocal harmonies accompanied by fiddle, banjo, mandolin and guitars. 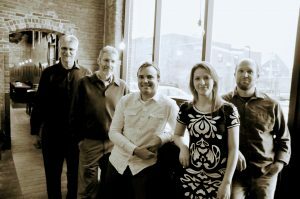 From thoughtful original and traditional songs as well as carefully chosen covers, traditional instrumentals from Maine, Canada, Southern Appalachia and Ireland they play a diverse and unique Americana mix of bluegrass, old time and folk. 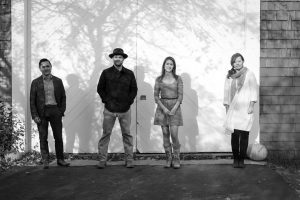 Josephine County combines the talents of four powerful traditional musicians into one exceptional musical experience ranging from the United States to Ireland and back. Award-winning fiddler and singer Erica Brown dedicated herself to traditional music at a very young age. Classical, French Canadian, Bluegrass, Country, and much more can be found in her wide-range of musical expertise. 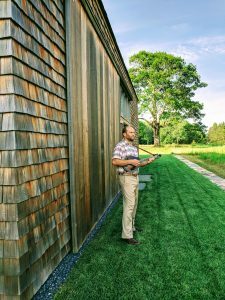 Songwriter and multi-instrumentalist Matt Shipman’s love of traditional music is apparent in his mastery of Bluegrass, Country, and Irish styles of playing. His detailed and thoughtful guitar, mandolin, and banjo playing captivate and delight audiences nationwide. Traditional Irish flute player and singer Hanz Araki is known worldwide for his fresh and innovative approach. His musical sensibility is both inspired and disciplined and has made him a household name from the UK to Japan. Among the finest interpreters of traditional songs of her generation, singer Colleen Raney brings warmth and authenticity to music from Ireland, Appalachia, Scotland, and beyond. 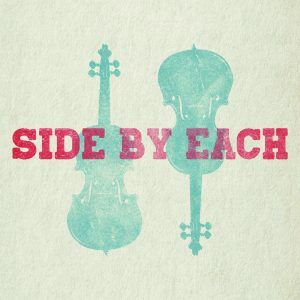 Don and Cindy Roy team up with Erica Brown and Matt Shipman to create a high energy, toe-tapping quartet called Side By Each featuring Celtic and Acadian style music. Don Roy is a champion fiddler with depth in many styles of fiddling. Hailing from roots deep in the Maritimes and Quebec, the Roy’s musical passion lies with the French Canadian tradition followed closely by Celtic music. Cindy Roy, also a member of the former Maine French Fiddlers, is well known for her step dancing piano accompaniment which is among the best in New England. Augmented by her rhythmic feet, she adds life and enthusiasm to the music. Some of Don and Cindy’s families were getting together for house parties long before Don and Cindy met on a blind date to play music in 1980. The heritage continues and Cindy and Don will entertain you with a blend of fiddle and piano styles that are common to traditional musicians of Maine. Erica Brown developed an interest in music at an early age. At the age of seven, she was competing in fiddle contests with kids twice her age. At age nine, she was traveling throughout New England, Canada, and even Louisiana with the Maine French Fiddlers. Erica also performed as a special guest with Mac McHale And The Old-Time Radio Gang for five years. Currently, she has her own bluegrass band, Erica Brown & The Bluegrass Connection, which performs all over New England as well as a duo with her husband Matt called Darlin’ Corey. Matt Shipman currently resides in Portland, ME and is a performer and teacher of acoustic and traditional music. In addition to guitar and mandolin he also enjoys playing bouzouki and clawhammer banjo. He attended the Hartt School of Music for a time where he studied Jazz trumpet before going back to his first love of traditional and acoustic music. Matt and Erica have been music educators for over 12 years and have recently opened their own teaching studio out of their home in Portland called Darlin’ Corey Studios offering private and semi-private lessons, groups, ensembles and jams. Don and Cindy Roy are recipients of a 2018 National Heritage Fellowship- the nation’s highest honor in the folk and traditional arts—recognizing their artistic excellence and supporting their continuing contributions to our nation’s traditional arts heritage.